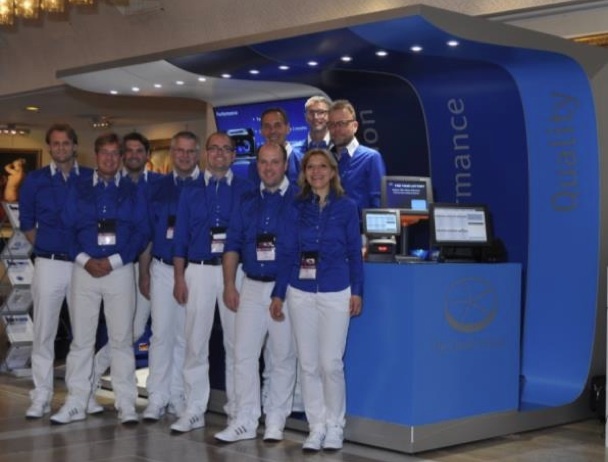 The Quality Group – Lottery Technology Systems GmbH is presenting its End-to-End central lottery system for the state-licensed lottery market, at the WLA Summit 2014 in Rome. TQG-LTS is presenting its standard software solution, which features ‚Innovation · Performance · Quality at its best’ at stand 24, in Rome. The TQG-LotterySuite is independent from terminal, server, operating system and browser. It is highly configurable, fully scalable, multilingual and multi-client capable. With its thin client terminal software TQG-LTS is setting new standards. TQG has been an established and certificated software company for over two decades now, constantly going far beyond statutory requirements. The World Lottery Association is a worldwide membership organization which represents the interests of state-licensed lotteries. The WLA bases its values on compliance with the highest standards of Corporate Responsibility – with ‚WLA Responsible Gaming Principles‘ and ‚WLA Responsible Gaming Framework‘ – as well as respect for all existing legal systems. TQG-LTS meets the stringent requirements WLA membership demands. Continuous, high quality investment in the lottery industry, as well as the expert skills and experience of TQG-LTS employees and superb levels of customer satisfaction have allowed TQG-LTS to gain recognition as being a highly innovative company. TQG-LTS is delighted to be taking part in the WLA Summit in Rome and anticipates generating considerable interest. The Quality Group: Lottery central system from 99,000€ p.a. The Quality Group: Lotterie Zentralsystem ab 99.000 € p.a.